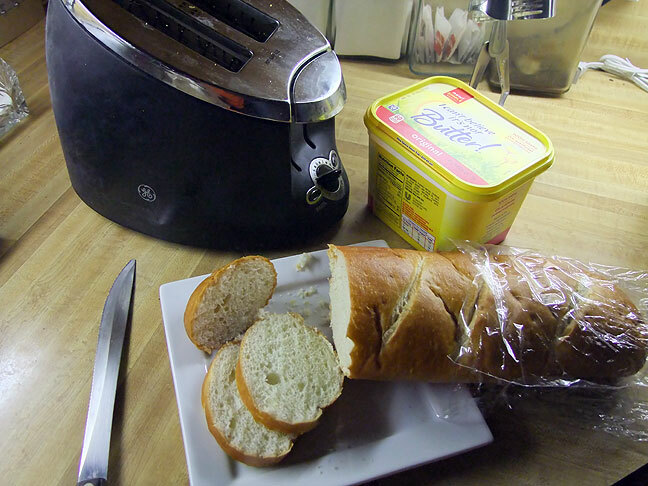 If you put French bread into a toaster, it does not make French toast. French toast is also known as eggy bread, gypsy toast, or omelette bread. This, however, is toast that is French. And in French, French toast is ‘pain perdu’ which means “lost bread”. As if you can actually lose the bread by trying to hide it inside an omelette. And when that doesn’t work, you try to hide it in the sugar canister. What? You still found it? Well wash the sugar off with some of that syrup and go ahead and eat it. I thought it was “Freedom Toast” now, at least according to FOX News?